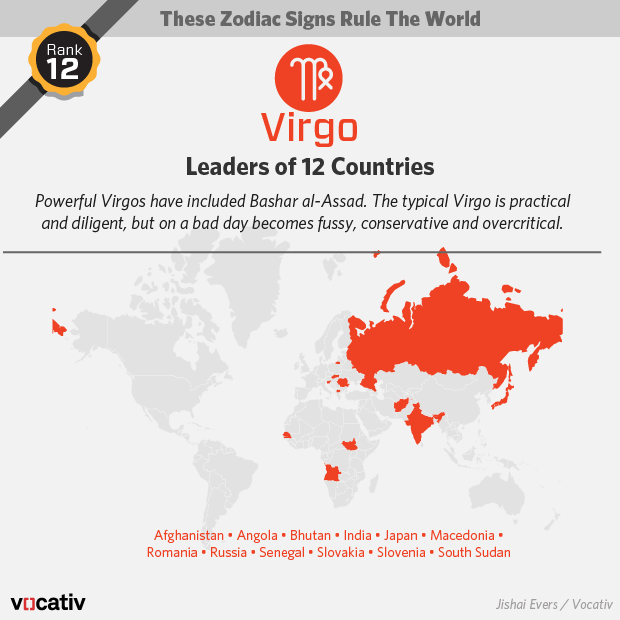 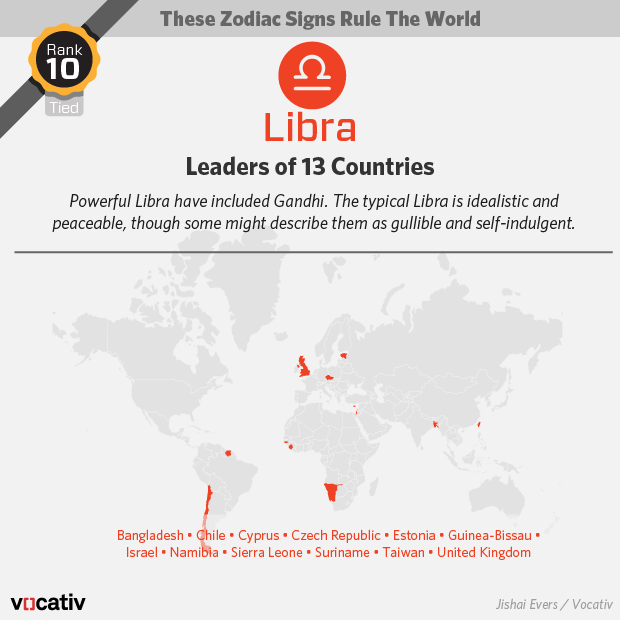 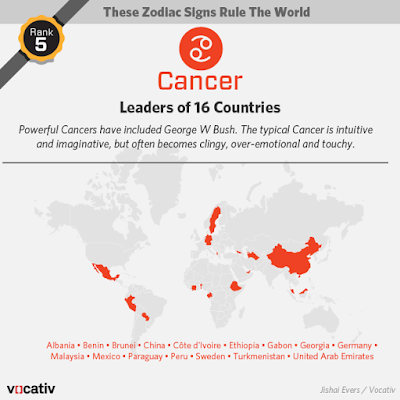 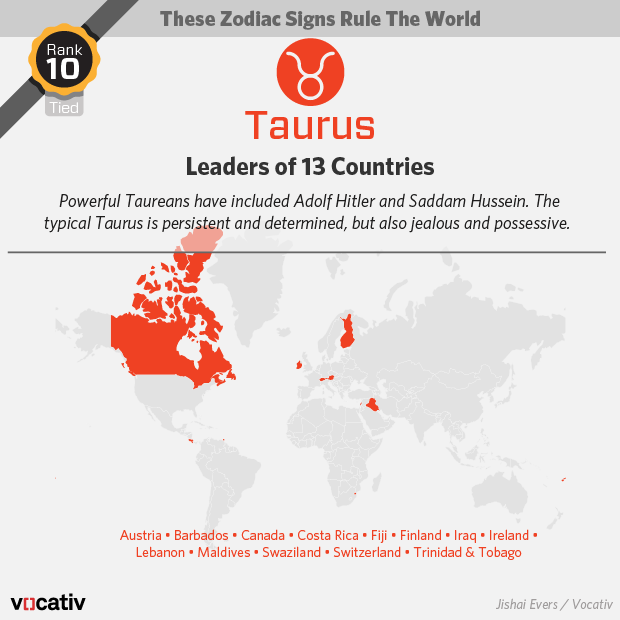 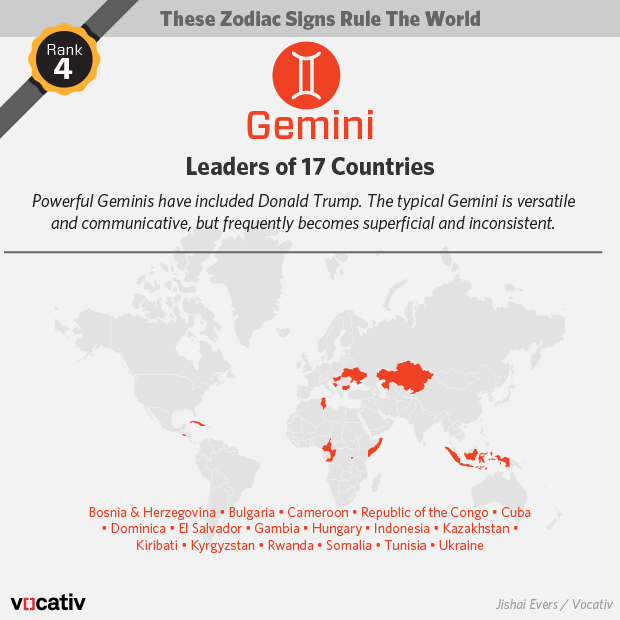 Analysis of more than 190 world leaders shows that those with certain zodiac signs may be more likely to lead their countries, according to Vocativ. 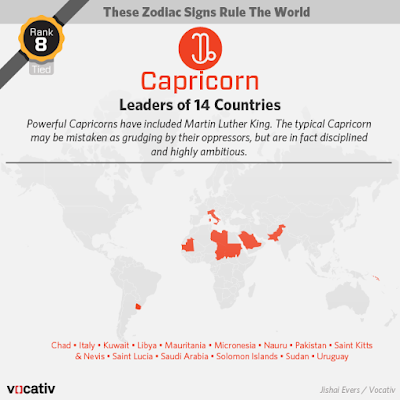 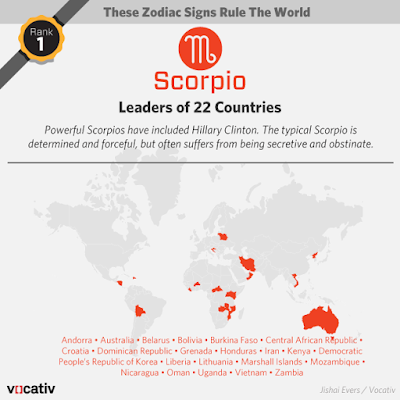 There is a larger number of Scorpio world leaders than world leaders of any other zodiac sign. 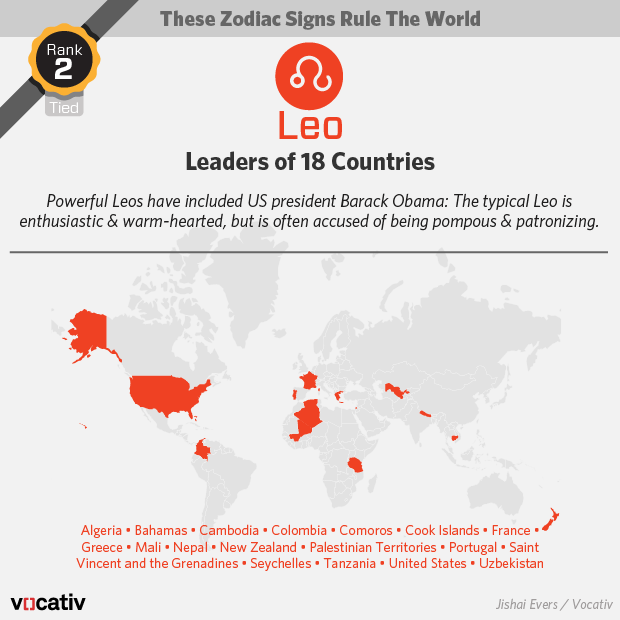 Scorpios ranks highest with 22 leaders, well ahead of the next ranking signs, Leo and Sagittarius, who are tied with 18 leaders each.